Pedal to three axles, of sturdy construction, for the control of the rudder and the brakes of the aircraft. The soft movement guarantees perfect precision and control. • Self-centering pedals with cushioned movement. • Adjustable pedal for each foot size and covered with anti-slip material. 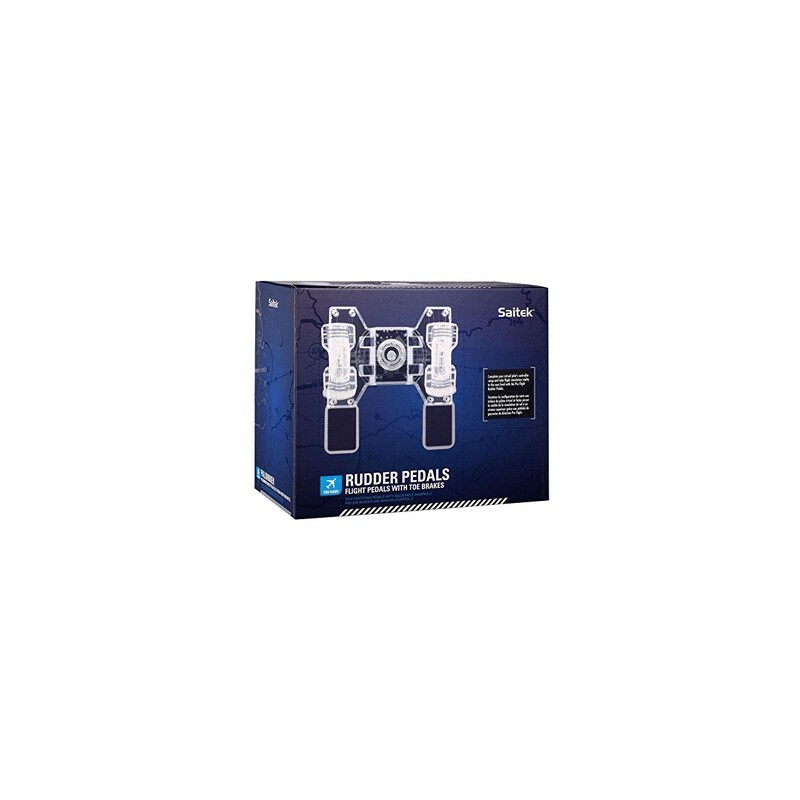 • High quality metal parts that guarantee durability. 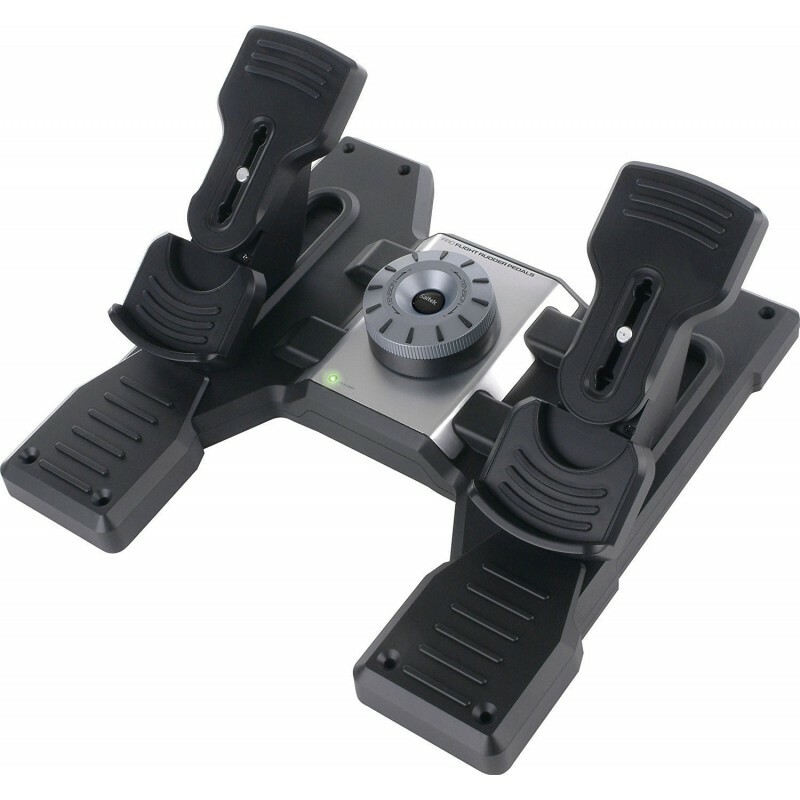 • The Saitek Smart Technology (SST) software allows you to configure the pedal board for your favorite style, and to save configurations as personal profiles.